Singer and songwriter Tom Chapin uses his unique blend of pop and folk songs in a thematic presentation, usually as a teaching tool for children. 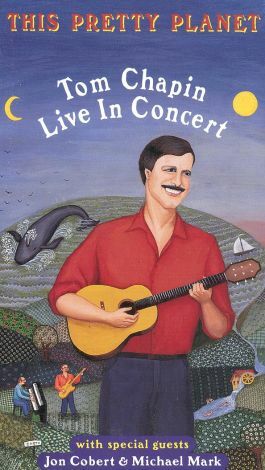 In this live-concert recording, Tom Chapin sings wholesome songs to address people's relationship with the environment, as well as their relationships to family and friends. Songs featured include "Two Kinds of Seagulls," "Come Blow Your Horn," "The Year 3000," and "Mother Earth's Routine." Chapin is joined on-stage by some of his friends singing duets, including ever-talented folk singer Judy Collins, Dr. Ruth Westheimer, Michael Doucet, Cissy Houston, and members of the Chapin family.